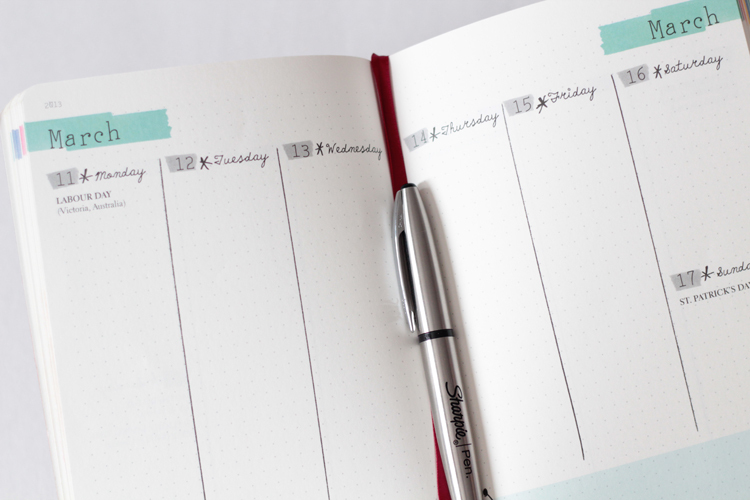 I know we're living in the electronic age of iCalendars and Evernote, but there's something about a tangible planner that always seduces me into the stationery aisle. That's where I found this beauty. 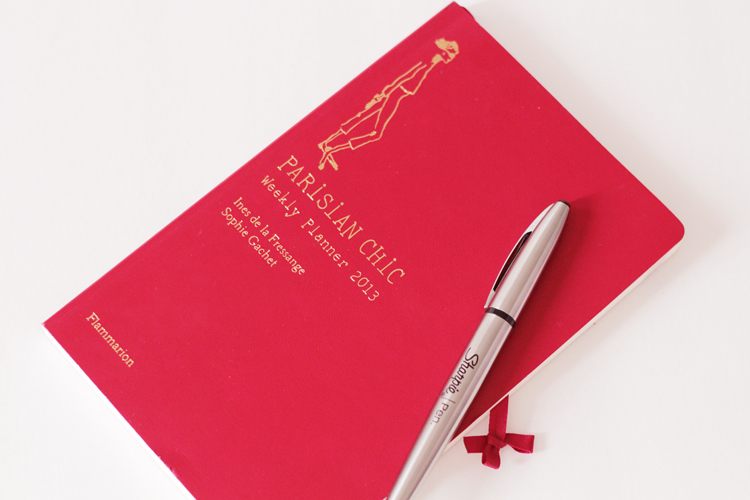 From the author of Parisian Chic: A Style Guide, Ines de la Fressange, this weekly planner is a continuation of parisian style and offers a year's worth of fashion, beauty, and lifestyle tips. I have already mentioned this in my February favourites, but I think it deserved it's own post. The layout is elegantly understated. I love the fun colours and the charming illustrations. This planner is not that functional for work purposes (I need a bit more writing space, so for work, I still use my trusted Moleskine), but I love using this planner to jot down ideas and to keep track of social gatherings. 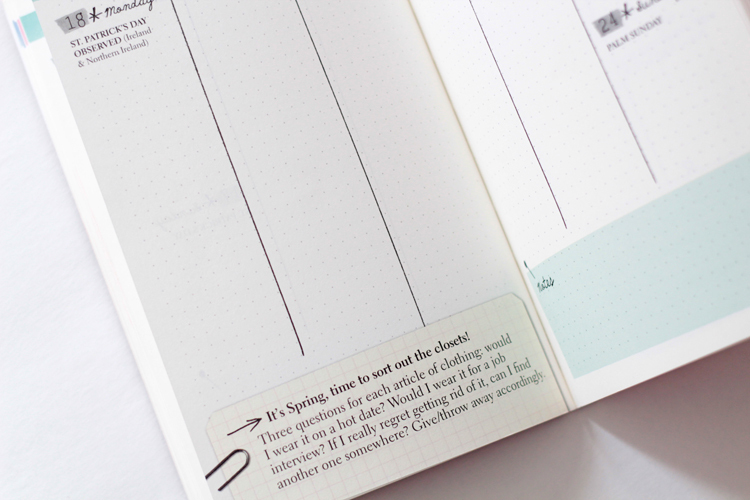 There are little touches about this planner that I really love and appreciate. The faux red leather cover is stunning. I love the rounded edges, the quality of the paper (heavy weight aquarelle sheets), and gorgeous four-color printing. 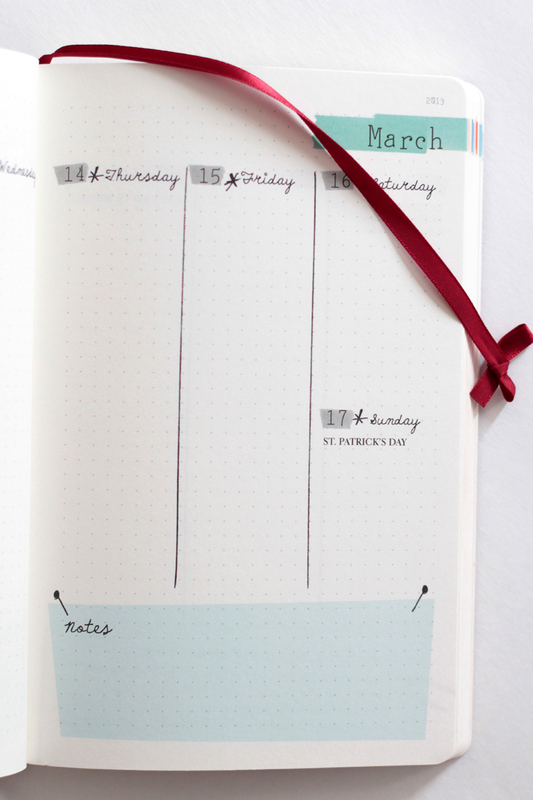 Our third month into 2013 may be a moot place to be inserting a post about a planner, but it's never too late to get stylishly organized :). 54 weekly tips on home décor, style, beauty, and lifestyle. 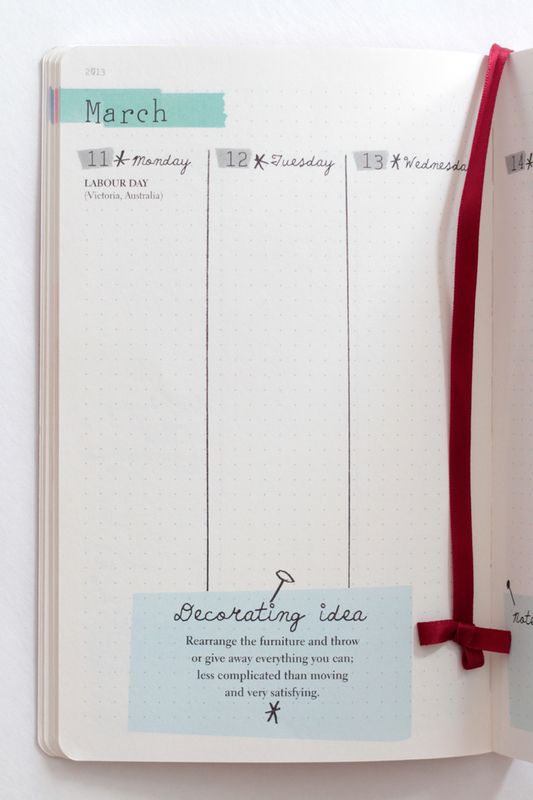 Ps, what do you do with the ribbon page marker? I like to tie it up into a bow. Hey there.. I have a question regarding the life span of makeup. I bought 2 jars of M.Asam Magic Fini last summer. I opened one in July 2012. I'm not even half way through one but I'm sure I'll be able to finish it by the end of this year. I opened the second one because I got confused with which one was the one already opened and which was not. I opened it once in November. I believe on the label it says it is good for 12 months once opened. I'm not worried about the first one, but do you think he second one still has the 12 month life span even though I only opened it once?? It's my favourite make up product by far and they don't see it in the Glymm shop anymore (and wont for a very long time apparently) so I'm glad I stocked up last summer. But now I think it was pointless because I wouldn't be able to finish the 2 in the 12 month span they last for! Would sterilizing it with a couple spritz of rubbing alcohol help make them last longer? I believe you said you could do this with pressed powders, but would you be able to with creams? Would it ruin the product or anything? I take expirations dates on most makeup products with a grain of salt. Often creams will last much longer than the designated date, depending on how often it's exposed to air, etc. With cream products, you do have to be aware of the expiration date -- but more importantly, you have to keep an eye on the product itself, i.e., be aware of ingredients beginning to settle or separate, the texture changing (either thickening or thinning), or if the smell changes. Try to keep the lid on as often as possible -- contact with air can degrade the product. Also try to use clean fingers (or even a little cosmetic spatula) to scoop out product. Sanitizing cream products is quite difficult, especially if it's not a "solid" cream, like a potted cream blush/bronzer. With creams like this, rubbing alcohol won't really help. Bacteria tends to travel much deeper in cream products than powder products. If you want, you can scrap the top layer of the cream -- but it will waste the product. You can try keeping the cream in the fridge. It's often a method used to prolong the life of cream products, like moisturizers, lipsticks, etc. 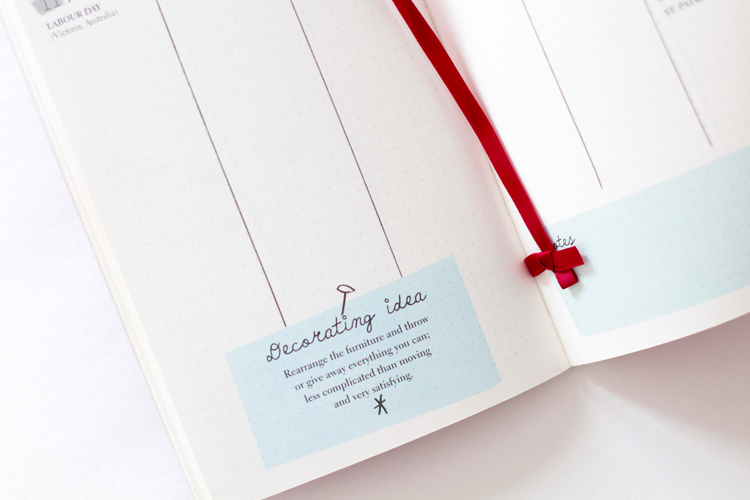 What a cute and useful planner! Where did you find this beauty? I love this! And I love posts like this, so cute. I have a Lily Pulizter planner that I just adore! This is so cute! I wish it was less pricey so I could get it haha. I have a $5 plain Mead planner from walmart and its good enough for reminders but I cant stop wishing I had one of these! I adore planners. 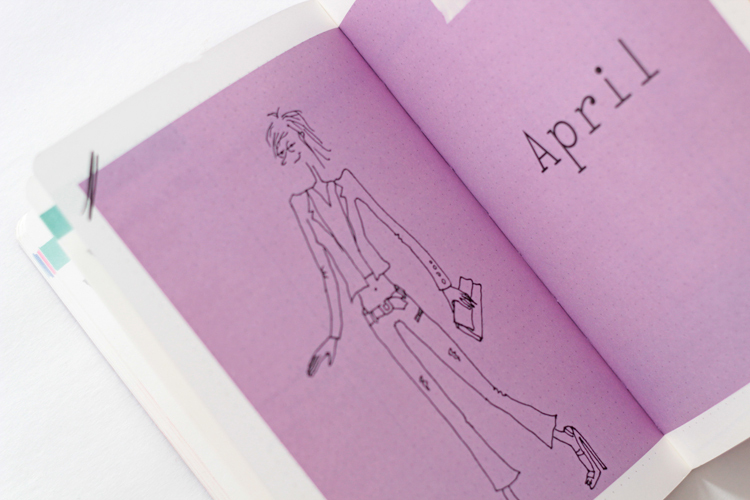 My husband recently bought me the Kate Spade leather planner and I worship it. ohmygosh! 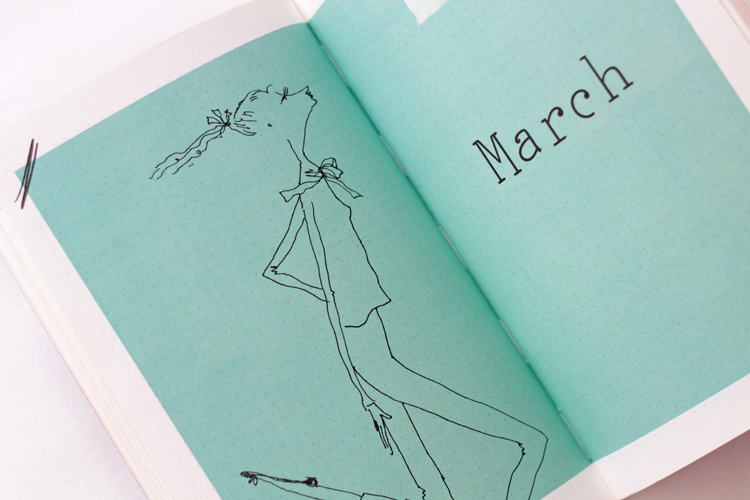 this is just the prettiest, cutest planner! love it. I also love having a paper planner I've never really been into electronic planners.